Volkswagen has been highly regarded by American consumer for decades. However, 2015 was a challenging year for the German automotive juggernaut. Widely known as an eco-friendly vehicle, Volkswagen loves touting its numbers and carbon footprint in the press because they are doing their part for your pocket and the environment. Amazing how it takes decades to create a brand and one dose of #PRFail to crumble it, right? 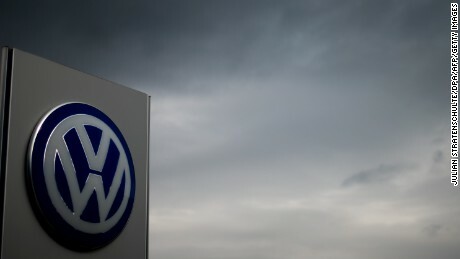 Back in September, Volkswagen admitted they had been lying to the Environmental Protection Agency (EPA) about their low emissions results in its diesel engines. The EPA’s findings cover 482,000 cars in the US only, including the VW-manufactured Audi A3, and the VW models Jetta, Beetle, Golf and Passat. But VW has admitted that about 11 million cars worldwide, including eight million in Europe, are fitted with the so-called “defeat device”. Get that: 11 million cars really aren’t protecting the environment that well. The EPA demands a recall… of 11 million cars. The EPA has to punish them, so fines up up to $37,500 each. That’s a maximum fine of $18 billion, for those scoring at home. This is a scandal that can obliterate a brand. You don’t come back from stuff like that, although Volkswagen is giving it the old college try. By the looks of its November sales numbers, they need to try a little harder. That’s not a dip… that’s a cliff. According to Fortune, Volkswagen of America reported that it delivered 23,882 vehicles in November 2015. Not bad, right? Whelp, that was a plummeting 25 percent decline from the same month last year. Guess what happened? One #PRFail caused erosion in months what took many years to build. Does VW have a comment? Kinda. “The November sales results reflect the impact of the recent stop-sale for all 2.0L 4-cylinder TDI vehicles as well as for the 3.0L V6,” VW says, referring to the two engines involved in the scandal. Impact. Stop-sale. Results. At least they didn’t hide from that.